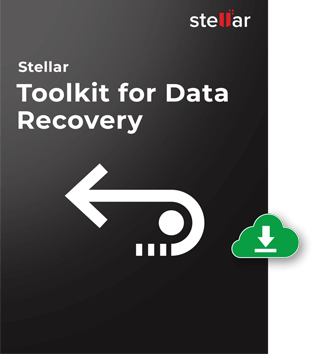 Stellar Toolkit for Data Recovery runs on Windows operating system and helps recover lost or deleted data from Windows supported NTFS, FAT32, exFAT; macOS supported HFS, HFS+; and Linux supported Ext4, Ext3, & Ext2 file systems. It also automatically repairs disk errors, fixes disk permissions, and replaces damaged directory. The toolkit allows data recovery from a missing or deleted hard drive volumes and partitions. The ‘Can’t Find Drive’ option helps to recover data from the non-visible partition. The software scans the entire storage drive and lists all the lost & deleted partitions of a hard disk. If the partition is still not found, the ‘Deep Scan’ option helps to scan the drive thoroughly and find the desired lost partitions. With this toolkit, data recovery from broken or inaccessible RAID 0, 5, & 6 server is fully automatic. Unlike other RAID recovery tools that require you enter RAID parameters, this toolkit automatically detects the RAID parameters, identifies the RAID factors, and constructs probable RAID array. It supports both hardware & software RAIDs and doesn’t require a RAID controller card. It also supports recovery from ‘NAS’ based on RAID 0, 5, & 6. The ‘Add Header’ option under ‘Advanced Settings’ lets you add additional file types (or user-defined file types) apart from those already mentioned in the ‘File Lists’. This option can be used to add a new file type or edit an existing file type with its average size to facilitate precise and faster recovery process. Try out the add-on photo repair utility to restore corrupt, damaged, and broken image files in pristine condition. The software fixes the photos taken with any major camera brand in a variety of file formats such as JPEG and TIFF. It also repairs RAW camera image files stored in USB stick, SD card, SDXC, SDHC, or any other external storage compatible with Windows. It can simultaneously repair several files of different types, with option to preview them before saving. Even the severely corrupt files – which are otherwise beyond the scope of repair - can be redeemed in the form of thumbnails. Is it possible to recover deleted data from RAID server? Yes, it is possible to recover deleted data from RAID server. Run the software and recover all your important data. In addition, the software provides the option to recover data from virtual RAID construction as well. Do all the member RAID drives are required to recover data from a RAID array? To efficiently recover data from a RAID array you need all the member RAID drives. Besides, the drives should be in proper sequence. Does the software retrieve data from an unrecognized storage media? Yes, the software recovers data from an unrecognized storage media provided that it must list under Disk Utility. Can I repair an ex-FAT hard drive on Mac? No, Stellar Toolkit for Data Recovery repairs HFS Mac hard drive only. Is disk imaging possible with Stellar Toolkit for Data Recovery? It is possible to create an image of the selected volume. In situations when the volume gets corrupt or is accidentally formatted, you can recover all your required files from the image created. Stellar Data Recovery for Linux Recovers lost, formatted or deleted data from Linux based volumes. A..
Stellar Data Recovery Professional, An NTFS Data Recovery Software that promises seamless recovery o..